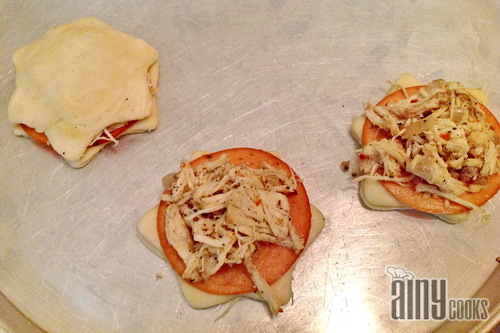 Prepare dough by this method (MINI PIZZA PIES) and set aside for 2 hours. 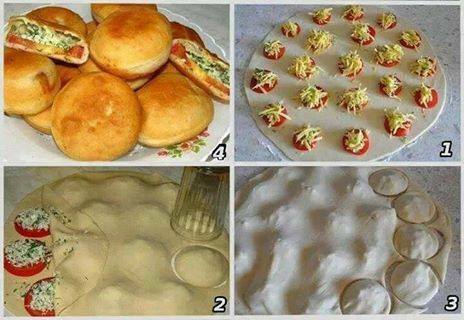 Roll dough and cut shapes of your own choice with cookie cutter or can cut circles as mentioned in picture. 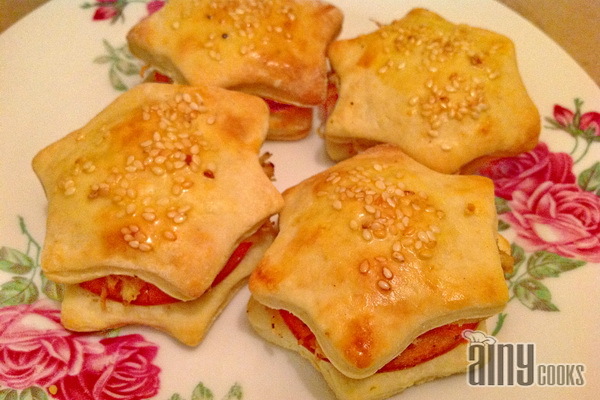 Brush egg wash on the corners of the bread and cover with other bread star. 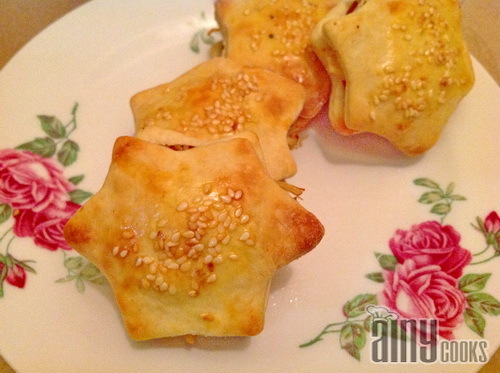 Brush egg on top and sprinkle sesame seeds. Being involved in event management companies in islamabad food is a big part of it, your site is filled with ideas and simply put your food is amazing and a source of creative ideas.